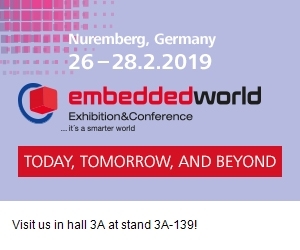 From 26 to 28 February, the “embedded world” will take place in Nuremberg. We are at the embeddedworld as guests with our sales team in Nueremberg. Visit PEAK electronics in Hall 3A-139.